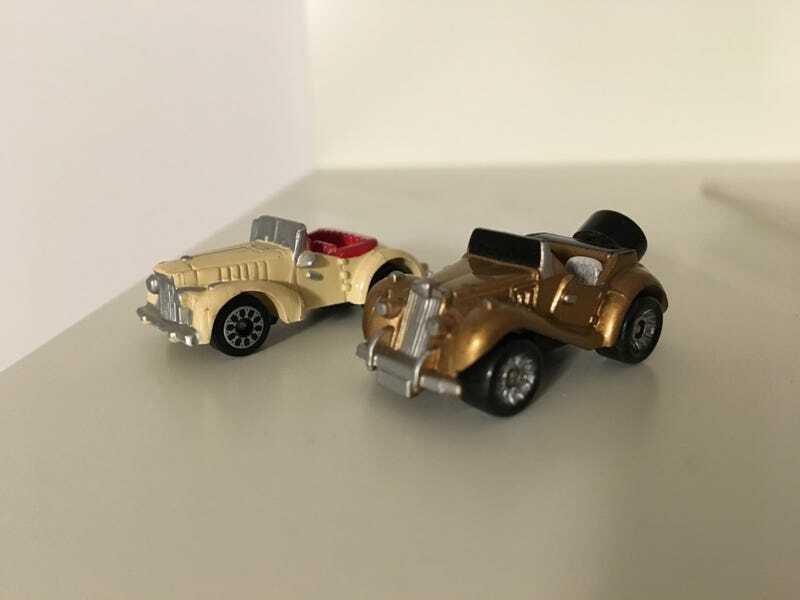 This pair of roadsters is by request of Fryguy. I had to do quite a bit of digging the Micro Machines Museum website to figure out what in the heck the beige one was. Turns out it’s a 1940 Packard Darrin. I was pretty surprised, I thought for sure it was something British. Although take it with a grain of salt, because I found errors in other parts of the site regarding vehicles which I am knowledgeable about. Anyways it’s a cool vehicle with some very unusual wheels. I don’t think I own any other Micros which use them. I also learned that my MG TF is a sun color-changer. I’ve had this thing for 25 years and didn’t know that. I’ll have to put it on my porch some sunny day and see what it does.